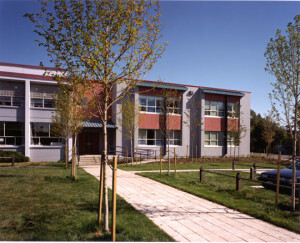 In 2010 The Colborne Architectural Group Pacific Inc. was engaged by the Vancouver School Board to create a model ‘learning community’ in a section of an existing 1960’s open area elementary school. 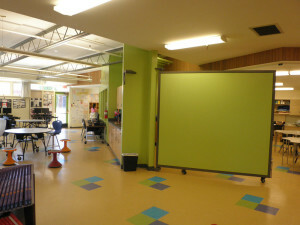 The open area space was demised to create a series of learning studios of varying sizes centered around a learning commons to demonstrate and test the principles that are being incorporated into a number of new schools in Vancouver. The intention is to offer an environment that enables and facilitates 21st century learning techniques by allowing optimum flexibility while allowing for differing learning/ teaching methods by providing spaces of differing size and character. This project was a phased seismic upgrade and renovation of an elementary school complex comprised of buildings dating from 1924, 1951, 1954 and 1969, with wood and concrete construction. The school was oversized for projected enrolment, so part of the program included the demolition of the north block and the construction of a new exit stair and entrance canopy in its place. A boiler replacement and gymnasium upgrade were also part of the work. The phasing of work permitted continuous occupation during construction. 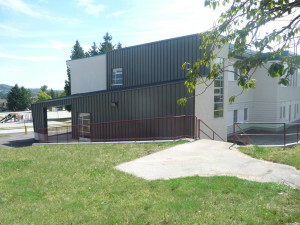 The COLBORNE ARCHITECTURAL GROUP Pacific was retained to design an addition to Captain James Cook Elementary School in the south-eastern area of Vancouver. 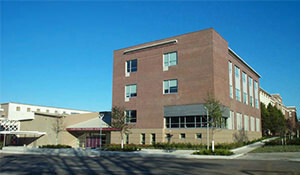 Eight new regular classrooms and a special education classroom were added to replace a number of portables on the site. The existing gymnasium was also enlarged to accommodate an increased school capacity of 500 elementary plus 40 kindergarten students. A new entrance at the juncture of the two provides access from parking and the west yard playground. The entrance path leads to a new gate from a proposed housing development on adjacent lands.